She found herself walking, laughing in a room filled with friends. Some new, then there were those who had always been. She found a way to live without the fear and suffocation of failure. She now allowed herself to enter that space of calm. Gave permission for her ideas to simmer, executed them with time. She’s come to understand what it means to live by ritual. She knows how much she can bear. As the sun shined through the kitchen window she could see her reflection flickering against the wall. The light now a bit closer to reach… to touch. Pieces of broken glass stuck to her hair. Dried blood stained her fingers. She crawled not knowing where she was going. She crawled until she was able to carry her own weight. She crawled until she realized she was not alone. head bowed she gasps for air – trying to breathe, yet unable to speak. 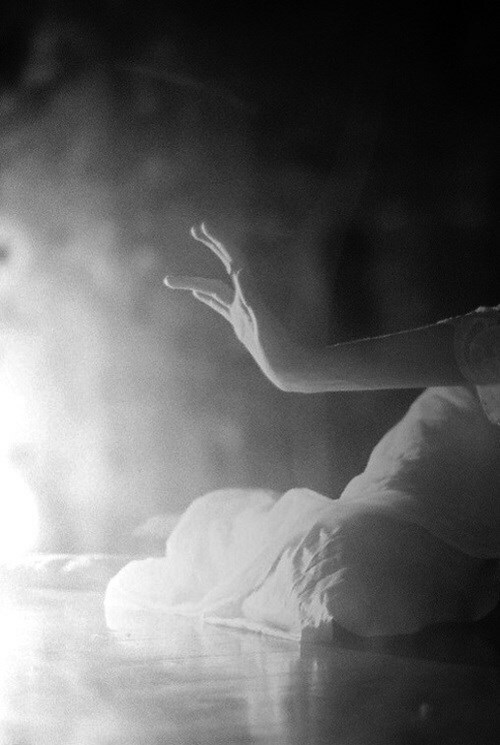 breathe, she tells her ragged soul until she can no longer move. 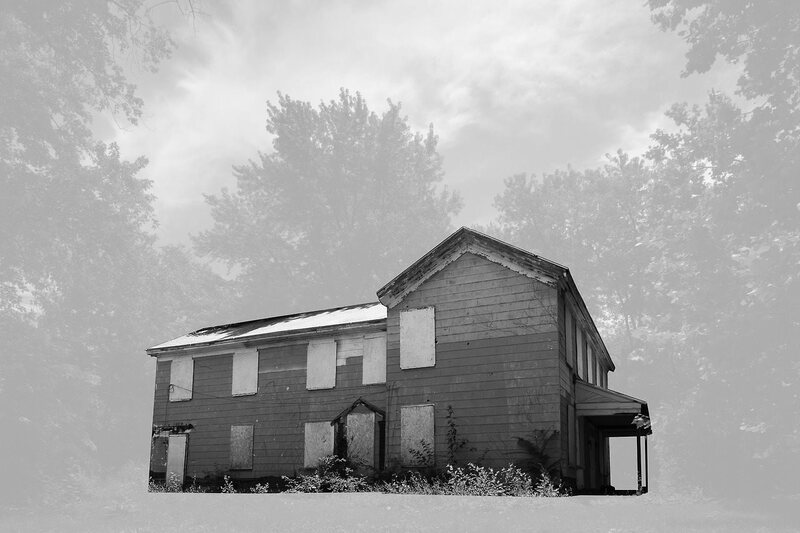 The house remembers her voice can crescendo into an unrecognizable monstrous pitch. Pacing the bare space she’s a wild animal spitting empty phrases into harsh air. Her face morphs….weathered, wrinkled, worn. Staring into broken glass she no longer sees the contour lines that once revealed pieces of her history. She’s an undefined line, curving, not always connecting to solid surfaces as she goes off on tangents as her thoughts explode into tiny pieces of unseen particle. This Fringe season welcomes a thrilling group of women from varied backgrounds and experiences, making this an exciting and by far one of the most diverse Hollywood Fringe Festivals ever! I wanted to take this week to share the voices of these women who will be sharing pieces of themselves this June at a variety of local theatres along Theatre Row. The power of the LAFPI is the ability it has to bring women of all ages and different backgrounds together to share our love for the theatre. Our last blog features a powerful and rarely spoken of history told from the heart by Natalia Elizabeth. A debut production, written by emerging actress and playwright Ailema Sousa. Set in Arizona, on an army base camp. 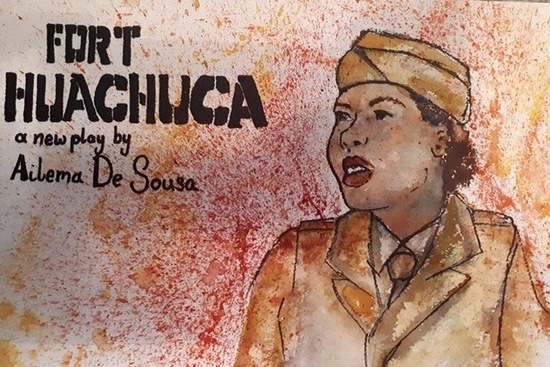 The play is a looking glass into the contributions and sacrifices made by the first African-American women’s army auxiliary corps (WAAC’s) during the Second World War. 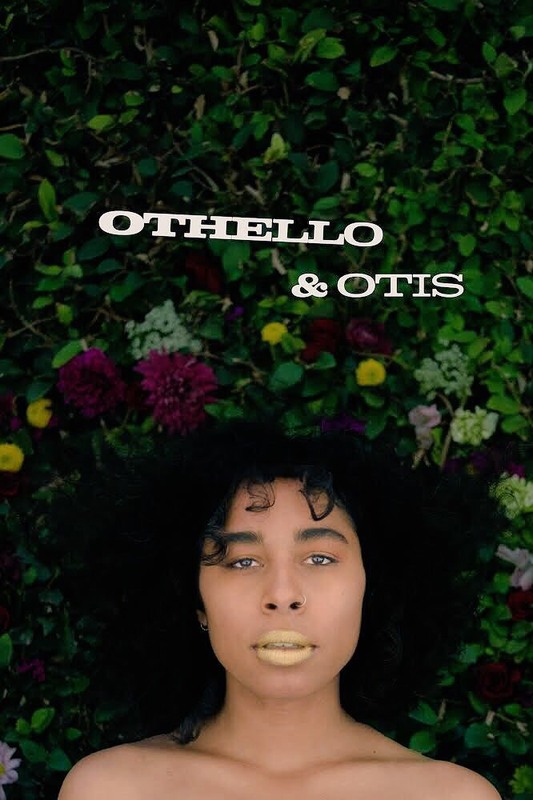 A concept created two years ago, ignited by the lack of representation of women of color during this pivotal point in history, the playwright discovered some of their untold stories. 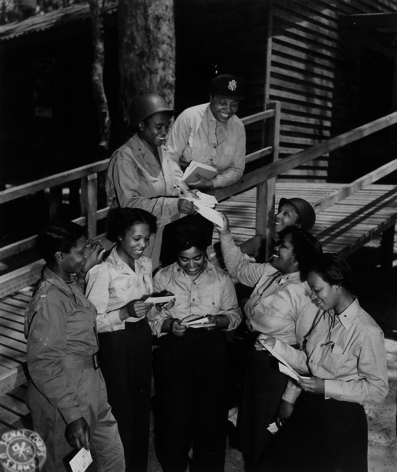 The stories of five, African American women who were the first among few to enlist in the 1940’s amidst a still-segregated America. Battling racism, sexism, discrimination at a time when a woman’s voice had little to no value. They managed to withstand all of the obstacles and went on to change the course of history, contributing greatly towards the war efforts. But where are they in the history books? In any books? In any movies? 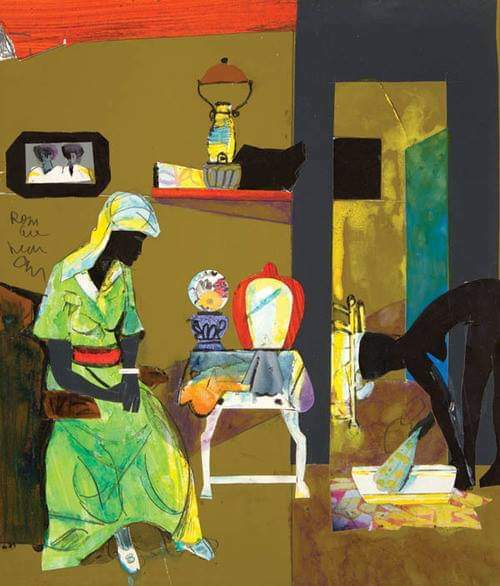 For too long the voices of black women have gone unheard, undervalued or quite simply ignored. This is something we no longer to choose to accept. We are resilient and have been for many many years, history proves this and in recent times we have been leaning towards this truth and our strength. With the success of stories like ‘Hidden Figures’ and more recently ‘Black Panther’ a story like ‘Fort Huachuca’ is needed now more than ever. Their success reflects the voice of the people, a people who are hungry for change, a people ready to see a different narrative, to see themselves represented in all aspects, on screen, on stage in the history books. It is our time! Ailema and the rest of the cast (Natalia Elizabeth, Nicole Sousa, Ashlee Jones, Benjamin Colbourne, Charles Nkrumah Jr, Resheda Terry, and Tiera Dashae with voiceovers by Kandace Caine & Kenneth Shook) will perform at the OMR Theatre @The Complex in Hollywood on Santa Monica Blvd, here in Los Angeles for the Festival in June. With four more shows left this is a show you cannot miss come and support the history of Fort Huachuca! The power of LA FPI is the ability it has to bring women of all ages and different backgrounds together to share our love for the theatre. 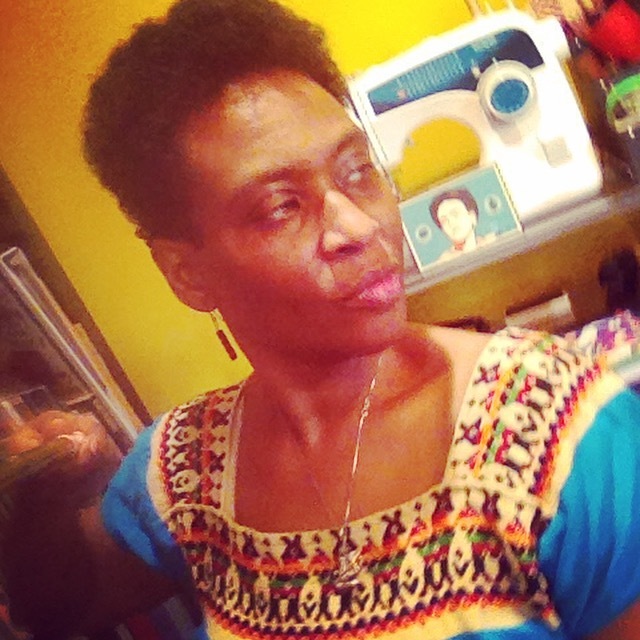 It is a pleasure to introduce K Butterfly Smith, a spiritual being who creates art exploring the self and lives understanding we are all interconnected. We are living in scary times. It often feels like there is no way out with all the shooting, terror and violence happening in our homes, schools, workplace and even our technology and entertainment. 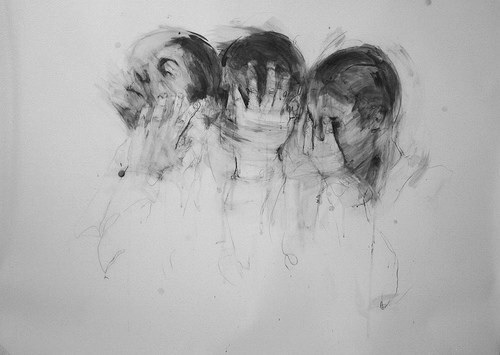 These are just symptoms that all this chaos exists inside of us. The only way out is through – through our own pain, our own terror and our own violence. Room No9 at the Chrysalis Inn invites you to experience a healing journey. Healing is scary. It’s like the future. We don’t know anything about it really, except for what we want the outcome to be. Art is fun. It’s the sugar that helps the medicine we need for healing go down. Using art as a healing tool gives me focus, a sense of accountability to myself, the community and the world. It allows me to heal the wounds in myself share with the world in hopes that it will inspire healing in others. AND it’s fun. 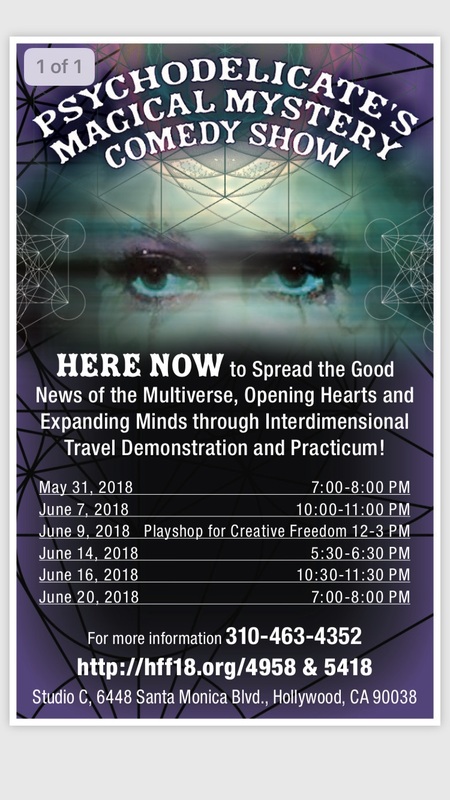 To witness this 30-minute healing journey, please go to hff18.org/4966 to select your date and get your tickets. All Advance Purchases Tickets are PWYC! Please allow time for parking. Shows Start On-Time. This Fringe season welcomes a thrilling group of women from varied backgrounds and experiences, making this an exciting and by far one of the most diverse Hollywood Fringe Festivals ever! I wanted to take this week to share the voices of these women who will be sharing pieces of themselves this June at a variety of local theatres along Theatre Row. 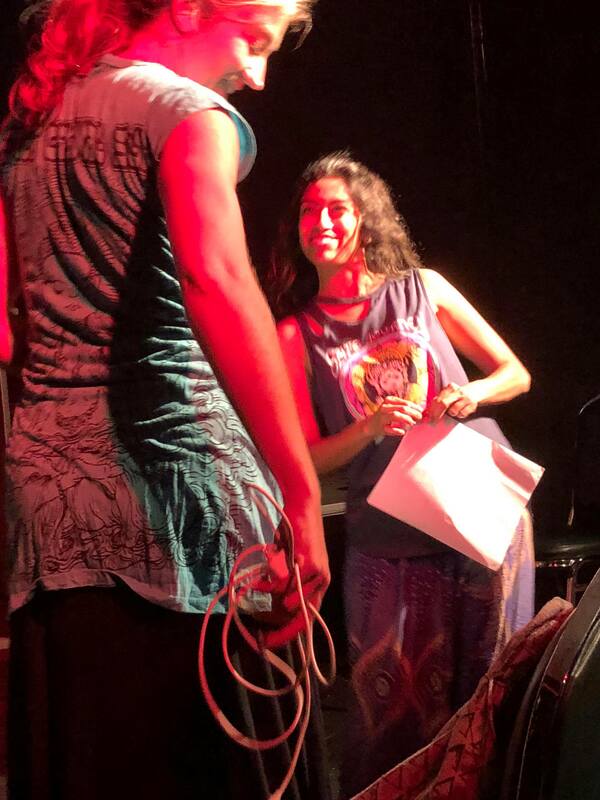 Today I am ecstatic to present the resilient, vibrant and hysterical returning fringe femme Rasika Mathur! 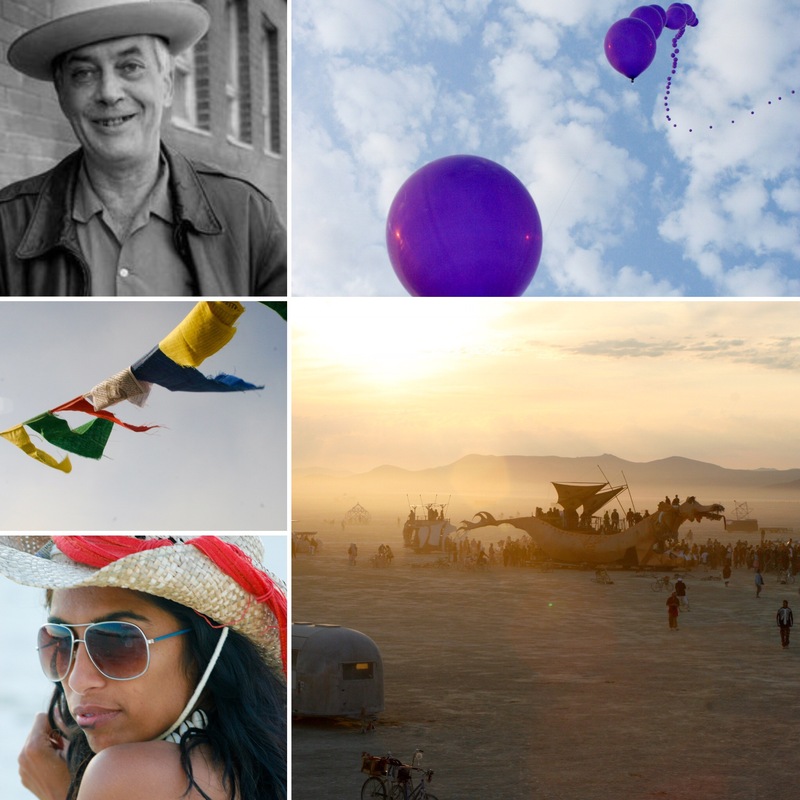 This was the one month death anniversary of Larry Harvey, the founder of the Burning Man Festival. And I wasn’t sad because I knew that he got to live a full life and give it all away and that made me feel so good, that his body could be free of pain. He basically had a terrible breakup as a young man and then decided at his breaking point to build a wooden effigy of a man and burn it in a bonfire, a few close friends as witness. He asked they bring something to also toss into the fire. The next year they did it at the beach, and 88 people showed up! It got some attention and every year it grew until they realized it was growing too big for the city of San Francisco. So every year thereafter, an entirely new city and culture are born once a year for 10 days out in Black Rock Desert, Nevada. And what I learned from this playful, magical, synchronistic, art-nature- spirituality-inspired, “hunger games” dress code-having, “leave no trace” and let it all burn in the fire philosophy-spreading movement, was to bring that sense of play out there out into this world and share it every day. Not just perpetuate stories about drugs and being naked. Though on the right drugs out there you can indeed learn to embrace yourself as a naked being. Primal, warty and all! Over there, two people on bikes crash into each other, dust themselves off and hug. And I’m sure there are fewer and fewer people who can ignore, optimally function and/or abide by what is happening more and more at this very dark moment in our country’s political climate. It’s clear we could all use some Appreciation for Life, Childlike Wonder and Inner Peace. Creatress, Producer, Performer and Fellow Burner Alayha Aquarian, in Psychodelicate’s Magical Mystery Comedy Show is “here now to spread the good news of the Multiverse, opening hearts and expanding minds through interdimensional travel demonstration and practicum.” We are all fools bringing the feeling of Utopian inclusivity complete with sound bath, metaphysics, and a clown band to a small black box theater on Santa Monica Blvd. For myself, I will be having an existential crisis, but as my longtime performed spinster (but don’t tell her that) character Nilam Auntie. It leads to a nervous breakdown. And in classic Rasika fashion, I turn to you, my audience, to participate in evoking her healing. 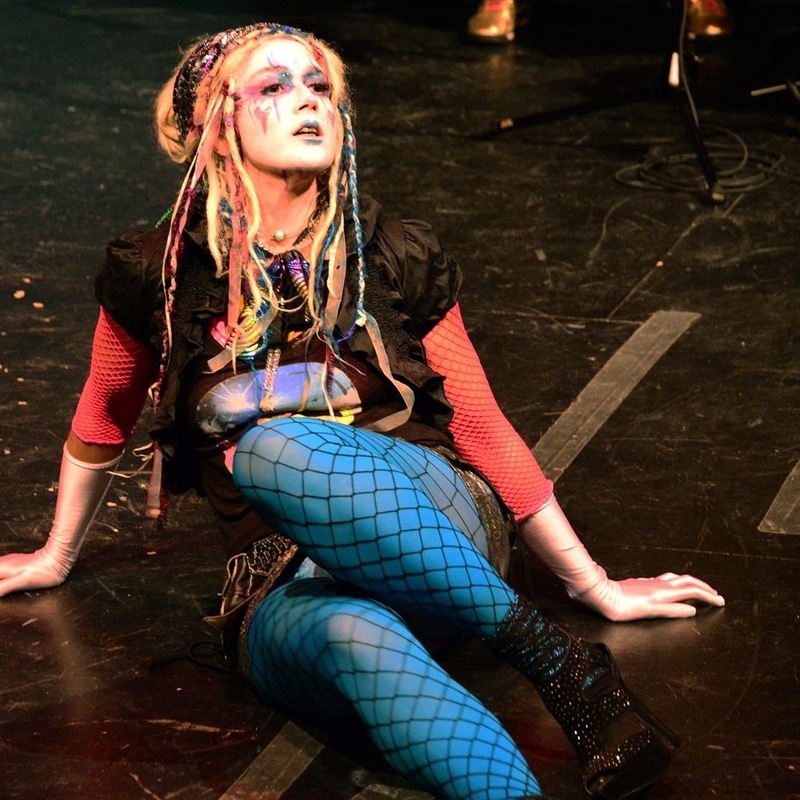 Last year, I was new to Hollywood Fringe, and as a scholarship winner for my OWS Hey Hollywood, My Hustle Has ADHD, I felt like “Wow, I’m worthy of my misfit story also belong on stage! I wanted to cast my audience to go on my horrible and hilarious self-revealing journey with me. People would play my dad and imagine themselves as dads, it was insane! And Alayha was there on my closing night, cast as “The Understudy” and she lit up! Cast Hymnal, Joe Borfo, Princess Giggles, & Brother Silence, Matthew Godfrey, Grayson Morris, Alan Rich, Michael Soldati, Steve Chang, Rasika Mathur, Josh Berkowitz, Corina, Niaz Navidi, Em Hoggett, Richard Michael Johnson, Jennifer Jonassen, James Kyson, Helene Udy, Jacqi Bowe, Kina Sinewave, Sierra Sullivan, Paul Reimers, Maxwell Rich, Michael Rayner!